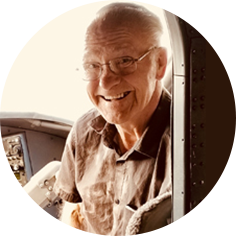 Al Walters, long-time resident of Moose Jaw, SK passed away peacefully at home on Sunday, August 26th, 2018. Al came to Moose Jaw in 1962 working as an electrician and starting his own business “Al’s Electric” in 1973. He was exceptionally hard working and generous. He was athletic and loved fishing, gardening and travelling. Above all Al loved his family more than anything. Al is survived by his loving wife of 60 years, Yvonne Walters; children: Neil (Linda), Laurel (Rod) Wall, and Denise (Craig Pollock); grandchildren: Niki (Jason) Walters, Elana (Mike) Jespersen, Colton Wall, Taylor Wall, and Sam Pollock; sisters-in-law, Madeline (George) Jenkins and Eileen Newman; as well as several nieces and nephews. A Memorial Gathering will be held on Saturday, September 1st, 2018 from 10:00 a.m. to 12:00 p.m. in the Harvey Room at Moose Jaw Funeral Home with presentations at 11:30 a.m. In lieu of flowers, donations in Al’s name may be made to the Salvation Army, 175 – 1st Ave NE, Moose Jaw, SK S6H 0Y9.